This is a FREE event. Sponsored and volunteer supported – THANK YOU Brainerd Rotary Club! 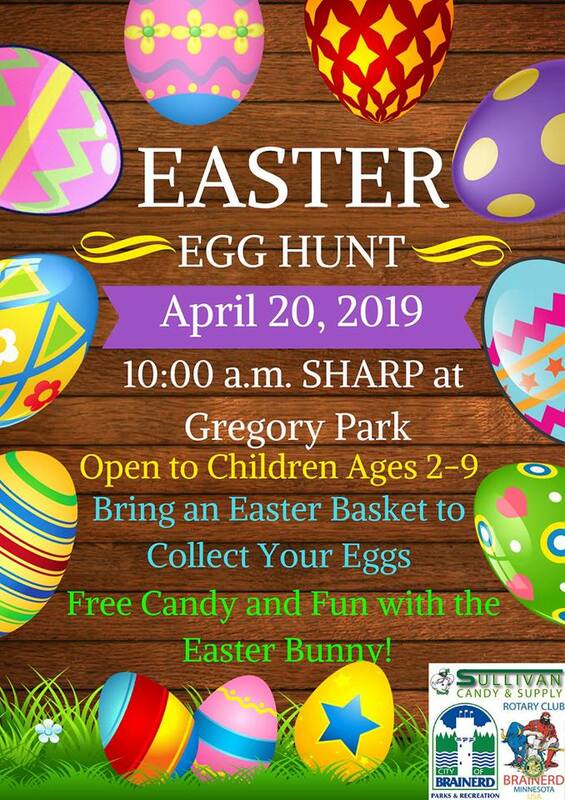 This year the Brainerd Rotary will be doing a raffle for fully stocked Easter Baskets! ~ more information to come on that new addition.